The backbone of America is our military and here at Toner Buzz, we recognize that. This year, we're not just celebrating Veteran's Day, we're celebrating Veteran's Week. We've made a commitment to do what we can to support our wounded veterans who return home with combat-related injuries. Any customer who uses the code below for our cashback program, Toner Buzz will be matching your cashback and donating it to Catch A Lift. If you spend over $300, you will earn $15 and we will donate $15. If you spend over $500, you will earn $30 and we will donate $30. It's as simple as that. 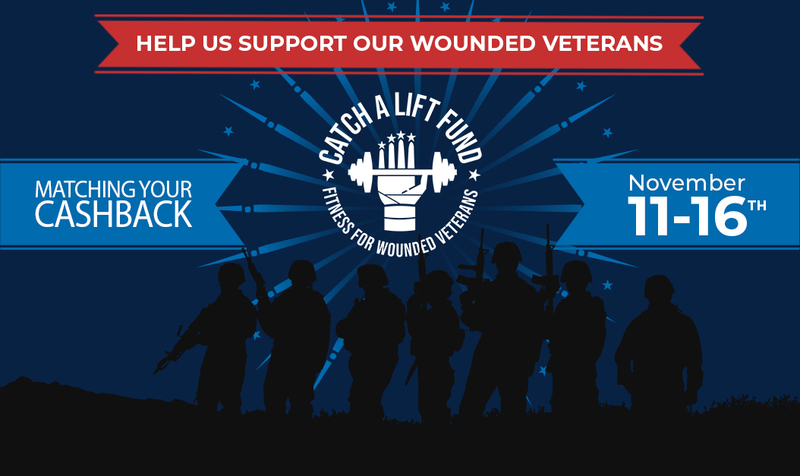 The Catch A Lift Fund enables post 9/11 combat wounded veterans all over the U.S. to recover and rehabilitate both physically and mentally through physical fitness, motivation and support. Catch A Lift vets are seeing and feeling results including dramatic weight loss, reduction in medications, improved sleep patterns, and strengthened relationships with family and friends, thanks to their healthier lifestyle.